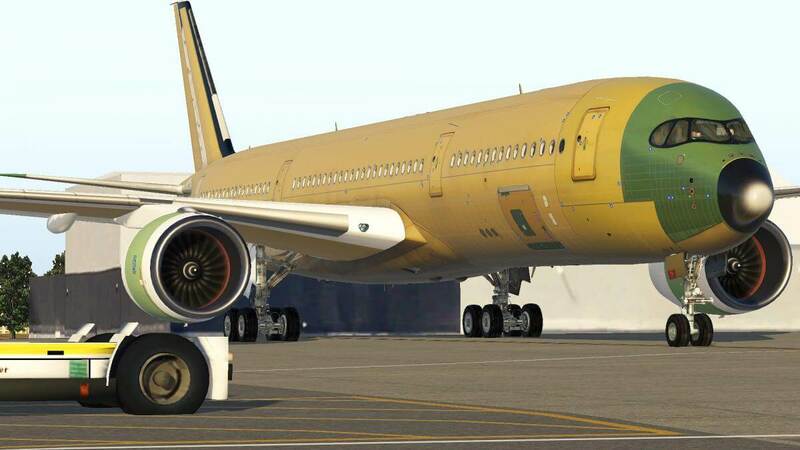 We’re pleased to offer you some exclusive Airbus Industries (EADS) factory rollout liveries for will known X-Plane aircraft developers. On behalf of Fabio Cabral (fscabral), we’re with his approval allowed to offer you some of his Airbus factory rollout paintings. These paintings are actually the ones at the factory covered with primer. 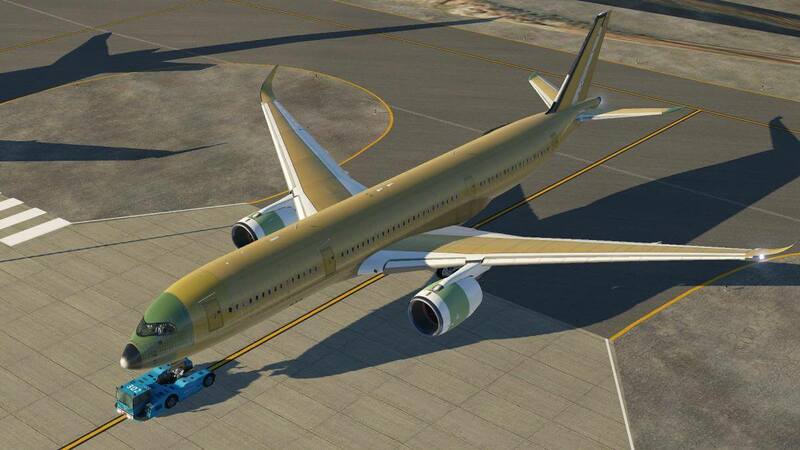 That the primer color differs over for example the fuselage has to do with different materials and different manufactures. Each EADS member makes his part and all individual parts are send to Toulouse/Blagnac where they are build together. 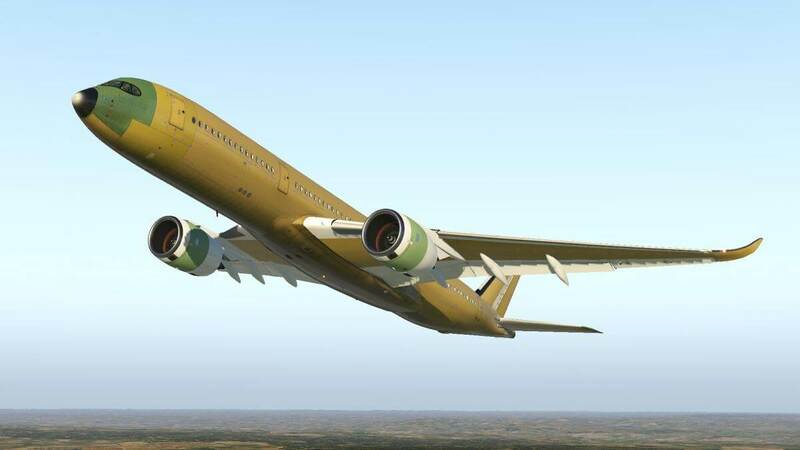 It depends a bit on the process, but mostly the vertical stabilzer of the primer look-alike Airbus has already the airline flag, so it’s not as in this painting. 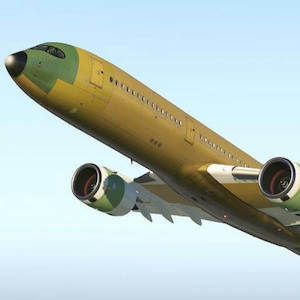 By the way, the vertical fin you see in this livery is made completely from composite materials. Everything that’s black is known as CFRP (Carbon Fibre Reinforced Plastic) and the yellow color represents most likely Kevlar.